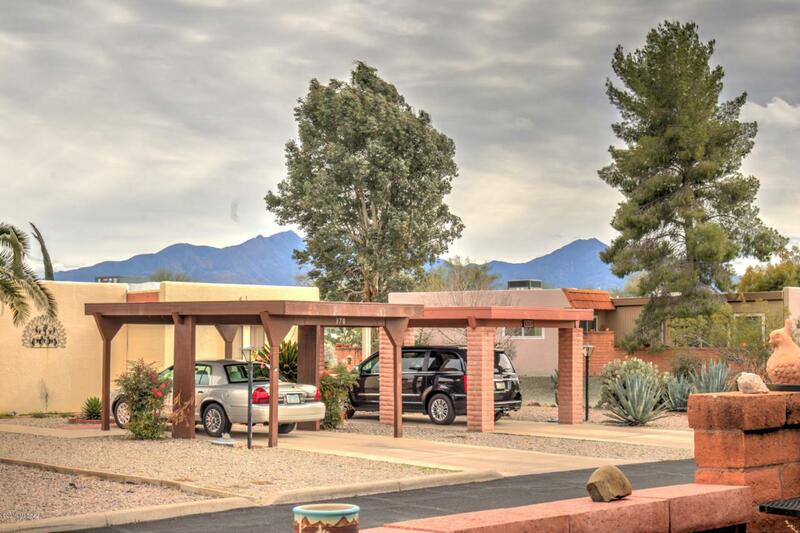 Charming, updated townhome with mountain views from covered front and rear patios. 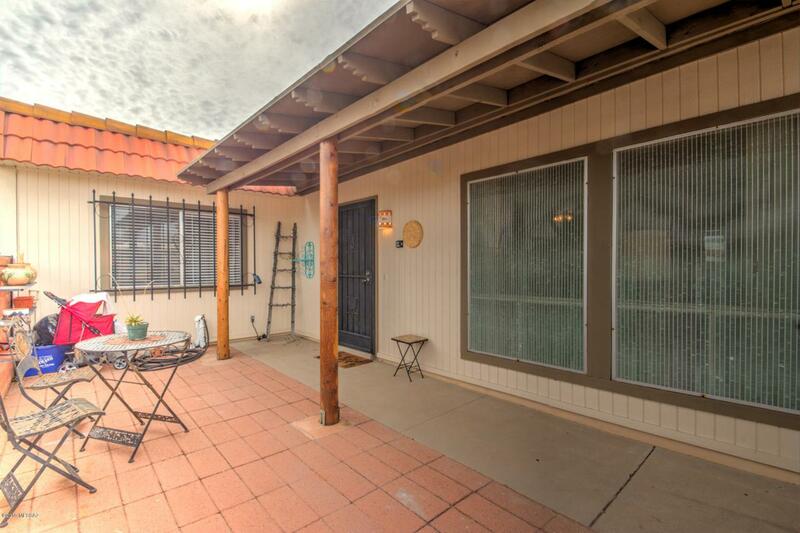 Updates include: new wood-like tile floors and wood-look laminate flooring, recent new paint, new bathroom vanities and counter tops, drip irrigation system and more. Wonderful corner setting with GVR pool directly behind home. HVAC replaced in 2013 and roof has been well-maintained. 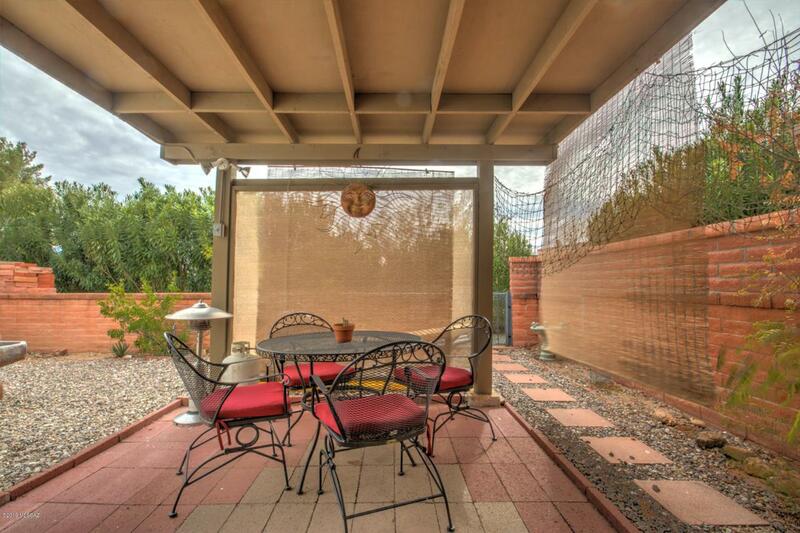 Arizona room provides an extra area for entertaining family and friends. Spacious and immaculate, this home is ideal for enjoying the Green Valley lifestyle either full-time or as a vacation getaway. 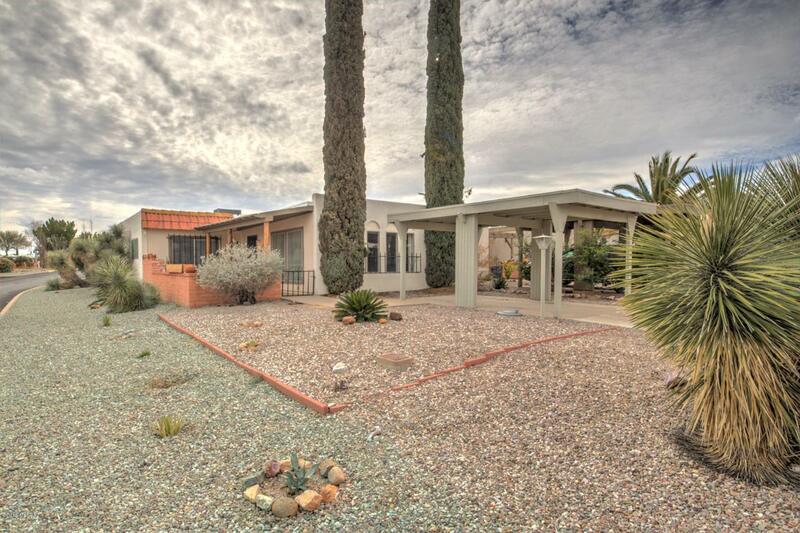 Currently the lowest available price per square foot in Casa Paloma 2! Seller is offering a one-year HSA ShieldEssential Home Warranty plan!